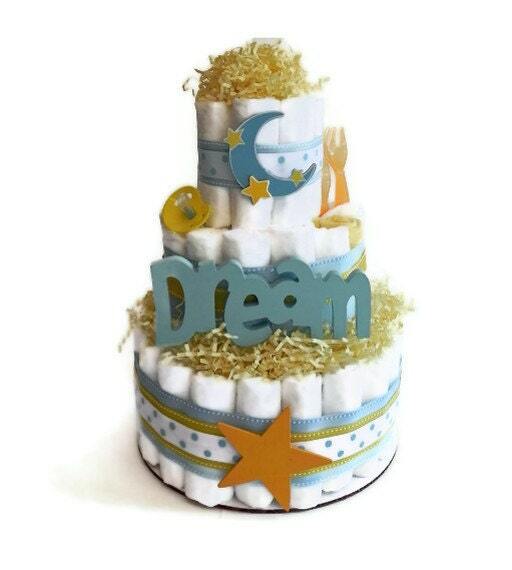 Bedtime nursery or shower theme! 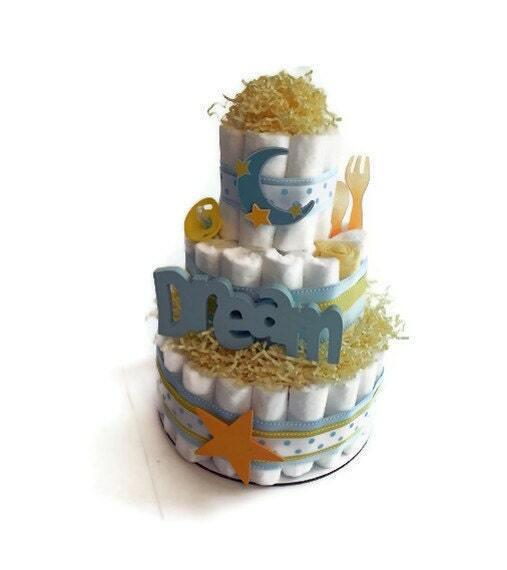 Our Dream Moon & Stars Diaper Cake will be the perfect gift. 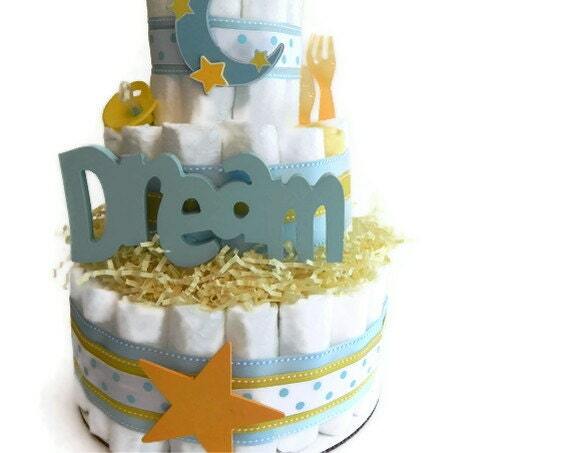 Any mother-to-be will love this practical gift and all of the ingredients are usable for the new baby!